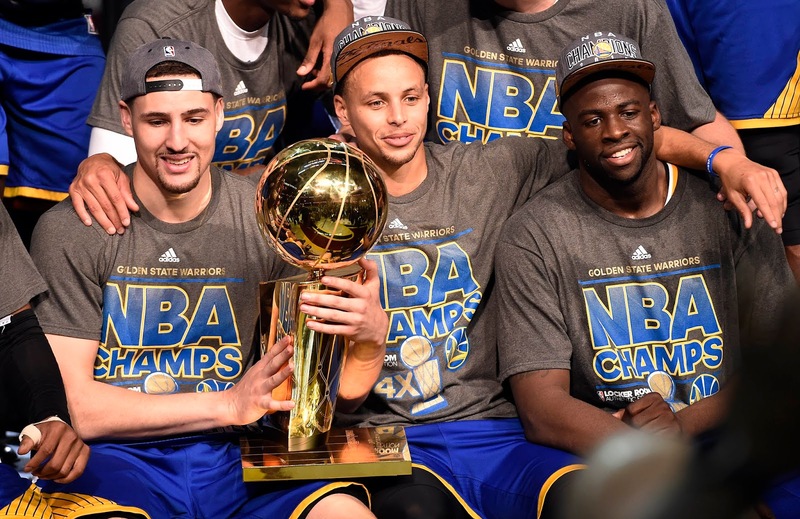 There was a belief that the Golden State Warriors have ruined the NBA. That belief couldn't be further from the truth. Sure, Kevin Durant and Stephen Curry are due to be the most dominant duo since Magic Johnson and Kareem Abdul Jabbar, but the fact remains, the NBA has always thrived with dynasties in place. 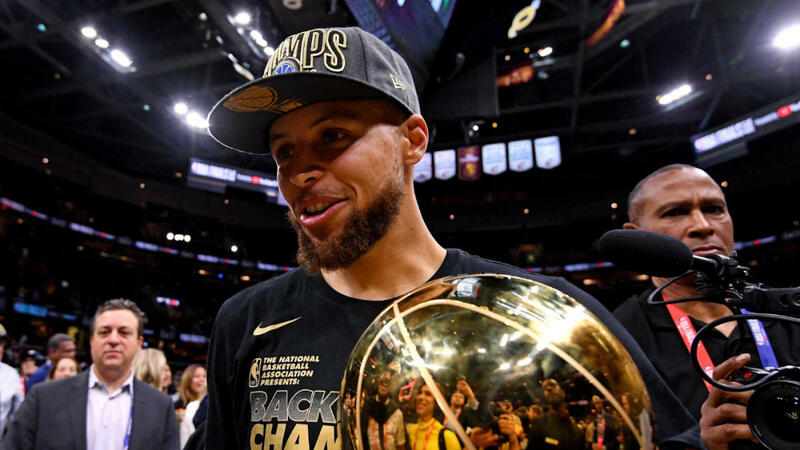 From the days of the Showtime Lakers to the current day Warriors, the NBA is at its best when teams are dominating and winning championships. Giving the rest of the league something to chase has always made every season more exciting and intriguing and despite the Warriors sitting atop the mountain for three of the last four years, and possibly for many more years to come, everyone is glued to their phones and televisions waiting to see what is next. Will the Rockets make it tougher? Will the Celtics stop the Warriors? Where does LeBron go? That will drive the season for sure and the offseason narratives, much like those narratives were driven in the previous dynasty eras. With that, I stand to think about the last 40 years of NBA basketball and how many times the league was "ruined" before. Was the league ruined when the Heat went to the Finals 4 straight times? Was the league ruined when the Bulls won 6 titles in 8 seasons? Was it ruined when the Lakers and Celtics won 8 titles in 10 seasons? No. So, with that being said, the league is far from ruined now. Which leads me to my point of being here today. Let's take a look at the dynasties of the last 40 years and why they probably made the NBA much better in the long run, and why the Warriors dynasty may change the course of basketball for the better again. Let's get into it. 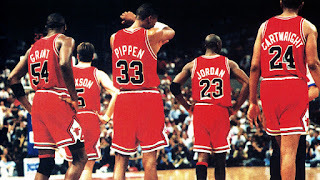 -This era was interesting in many ways because it might be one of the greatest eras ever for any team. 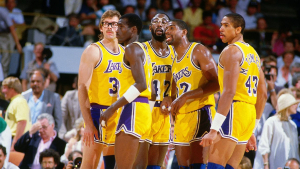 The Lakers went through two dynasty runs during this period, starting with their huge 1980 victory with the rookie Magic Johnson leading the way. 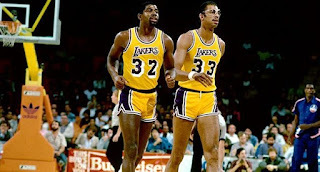 Simply put, the Showtime Lakers really kept a strong grip on the Western Conference with one of the most dominant duos of all time in Kareem Abdul Jabbar and Magic, while having a very solid piece in James Worthy and more. 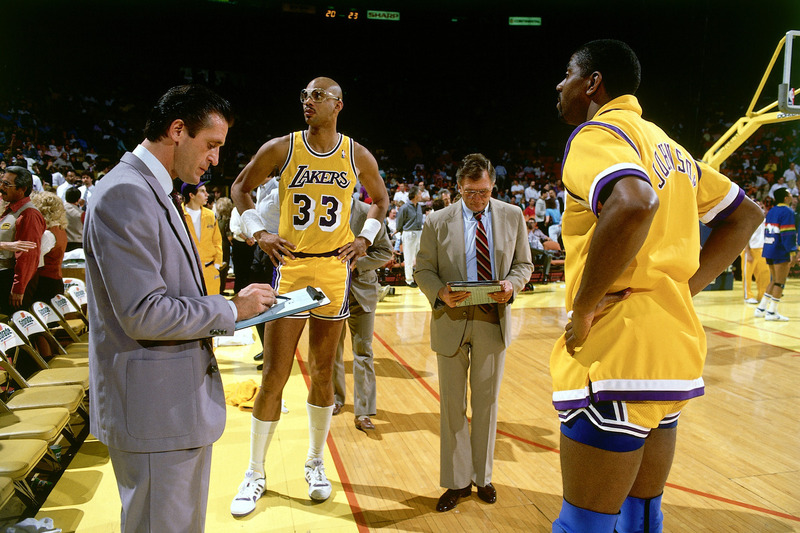 It is tough to really decide which era of Showtime was the best, as the 1980-1986 portion of the era led to multiple Finals trips and three titles, with 1980, 1982, and 1985 being the year they won. 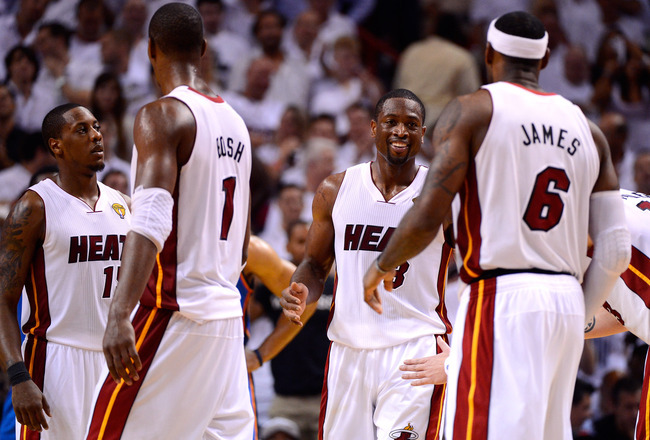 They would make the Finals a total of 5 times during this period, winning 3 championships. 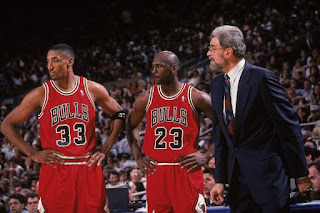 The second part of their era, from 1987-1991 was equally successful, as they would win back to back titles in 1987 and 1988, make the Finals again in 1989 and finally in 1991. 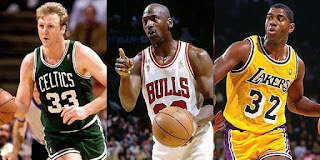 Though they would lose pretty convincingly in 1989 and 1991, they would still pull off amazing feats by defeating the competition and appearing in 9 NBA Finals in 11-12 seasons. That is amazing in itself. Magic, Kareem, and Worthy were their own big three in many ways, and together, they would etch their name in history, and they had perhaps the greatest dynasty run ever. 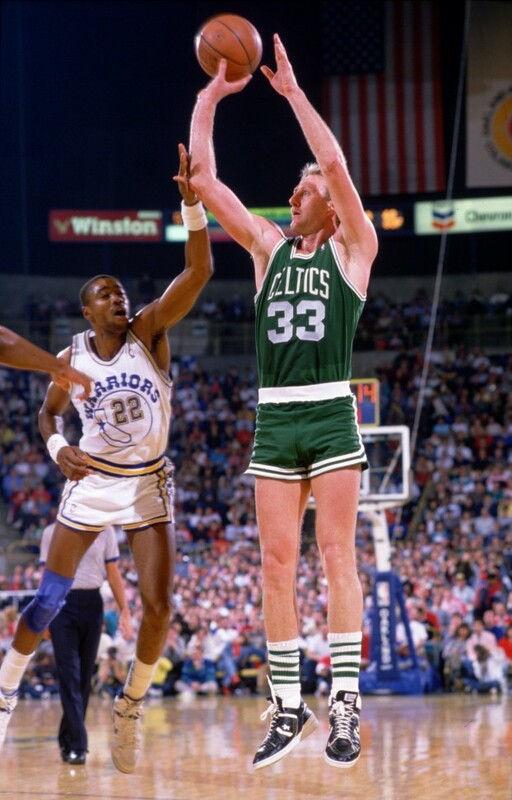 -The Celtics dominated the East during the 80's, and they were almost able to sustain one of the longest runs in history after their dominance in the 50s and 60s. While they would be the biggest foe for the Lakers during this time, the Celtics would begin their era in 1981 with a victory over the Houston Rockets. A team with Larry Bird, Kevin McHale, Robert Parish, and more definitely had the tools to make it to the next level, and after winning their second title of the era in 1984, they would end up winning their third in 1986, while also making the Finals for a fourth straight time in 1987. 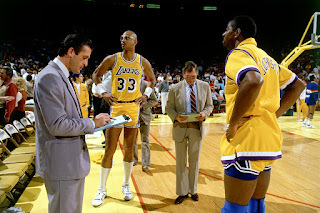 Four consecutive Finals appearances, 3 titles during their era, and one of the best seasons ever in 1986. The Celtics definitely had a legendary dynasty, and while the Lakers were the true team of the era, every team needs a rival, and the Celtics more than filled that role with a team that would spawn five future Hall Of Famers. 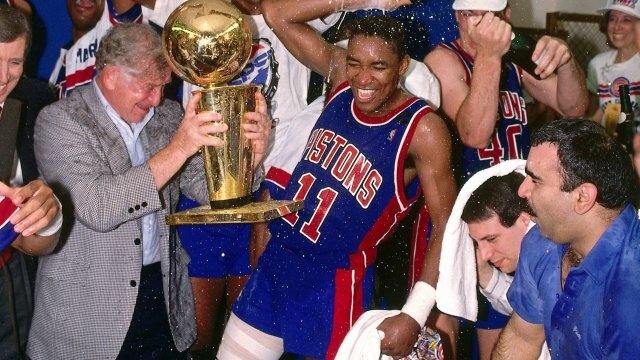 -Going back to back and to three straight NBA Finals would definitely signal a possible dynasty, but the truth is, the Pistons are one of the smaller dynasties of our time. They were a force, making the Eastern Conference Finals five times in a row, which in many ways, is very impressive considering the stronghold that the Celtics had on the East. 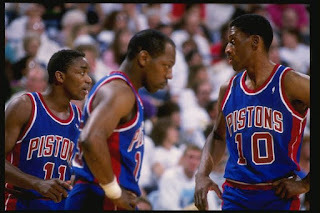 The Celtics were essentially the team to beat in the Eastern Conference, and after coming so close in 1987, the Pistons would make the Finals in 1988 before losing one of the best series in NBA history to the Lakers in 7 games. If Isiah Thomas never experienced an injury, I believe this team could have won three in a row, which is why I feel as if the Pistons are a dynasty. So close to winning three in a row, and they would dominate the Lakers in 1989 with a huge sweep. After another successful regular season, they would end up in the Finals yet again, making mostly easy work of the Blazers, winning the second straight title. 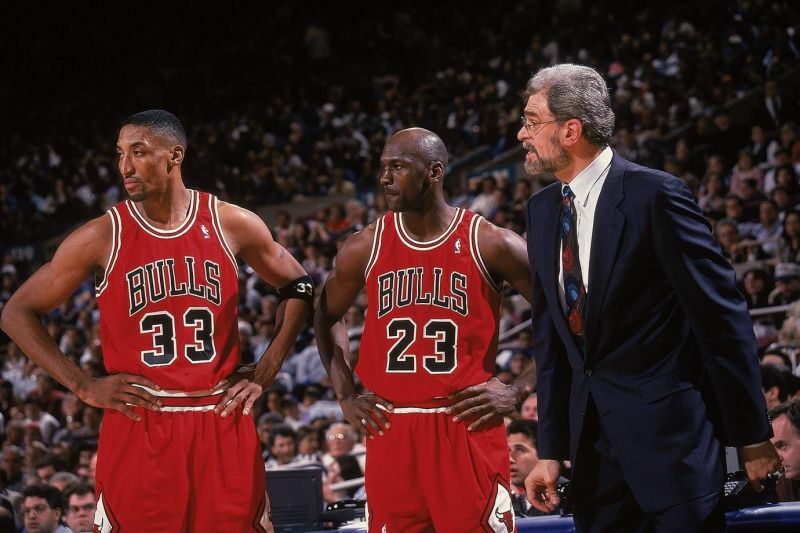 Their run would come to an abrupt end once the Bulls figured out how to stop them, but it takes nothing away from what they accomplished in those three years. 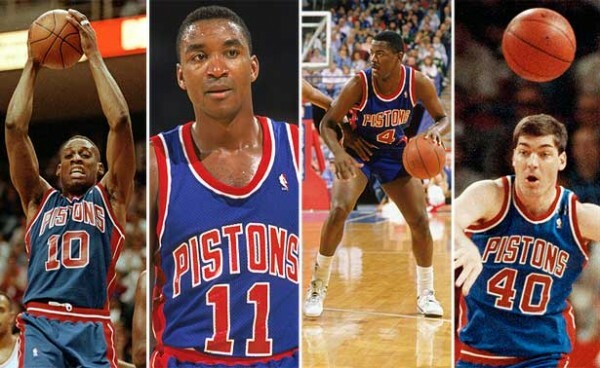 The Bad Boy Pistons weren't the greatest dynasty ever, but after three years of spilling champagne against the Eastern Conference and two titles, they deserve a spot on this list. -To me, this is the greatest dynasty of the last 40 years and perhaps ever. Let's be honest. The Celtics in the 60s were good, but they weren't playing in a tough era. That's just the facts. They dominated and they should have. Nothing about the Bulls and their run was predicted or easy. They didn't stack the deck to win the Conference, they just got better. With a generational talent in Michael Jordan and an excellent player in Scottie Pippen, the Bulls would embark on one of the greatest journeys of all time. 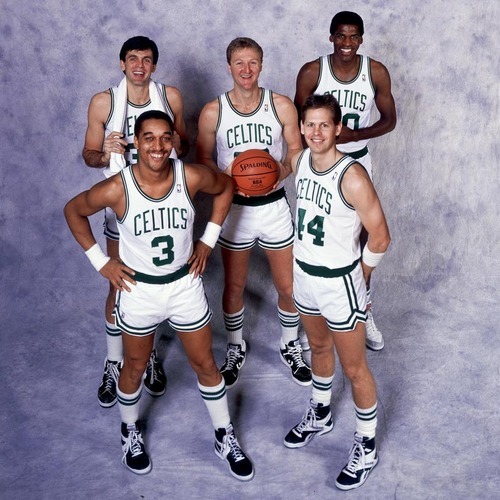 I often wonder what could have been had they won Game 7 in 1990 of the Eastern Conferemce Finals because I fully believe they would have beat the Blazers. 7 titles in 9 years would have been amazing but no time for the what if scenarios. 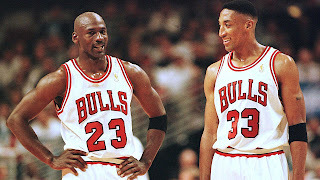 In 1991, Jordan would lead his team against the Showtime Lakers right before they would finish their era, and made quick work of them in 5 games. Jordan would have an excellent series and win his first Finals MVP, then the Bulls would end up winning another title the next season against the Blazers. The Phoenix Suns posed a big challenge and Charles Barkley had been named the MVP that season, but even they would fall in 6 games in 1993 for the third straight title. After a two year layoff for Jordan, the league got better and yet it still wasn't enough. The Knicks couldn't stop them. The Magic didn't (1995 yes, but Jordan had barely returned). The Pacers didn't. The East was great, but they couldn't stop the Bulls. The West had hope, as the 64 win Sonics team was honestly amazing and yet they still couldn't force a Game 7 or win the title. 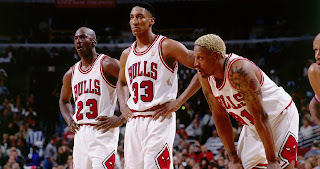 In 1997, the Bulls would face the Utah Jazz and still somehow manage to win in 6 games for their fifth title. 1998, the Bulls and Jazz would play once more, and the result was the same. Another three peat and the sixth NBA title for the Bulls making them the third most decorated franchise behind the Lakers and Celtics. The Chicago Bulls are perhaps the greatest dynasty of the last 40 years and they gave us the greatest player of all time. -Five seasons. Three championships. The greatest coach ever. It is surprising to see that the Spurs have never gone back to back, but they have 5 titles over the last 17 years, and they are constantly in the playoffs. They are successful in this regard, and still, no back to back titles and only once have they made back to back Finals appearances and that was in 2013 and 2014. 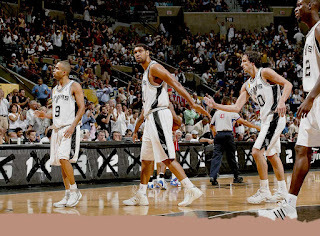 Still, after winning a title in 1999, the Spurs would win their second title in 2003 and begin an interesting journey that makes them a dynasty technically, but just not as dominant as they could have been perhaps. After defeating the Nets in 2003, the Spurs would make it back to the Finals in 2005 and defeat the Pistons before beating the Cavs in 2007 for their third title in five years. The Spurs are essentially the more unconventional dynasty in the way that they won and executed things. 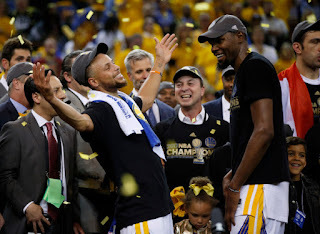 They didn't make the Western Conference Finals every single year during this period, they didn't even make the Finals two years in a row, but three titles in five years cannot be denied. Period. The Tim Duncan led Spurs were a force in the NBA and you have to respect it and Coach Pop, the greatest coach of all time. -I combined these eras for a few reasons. 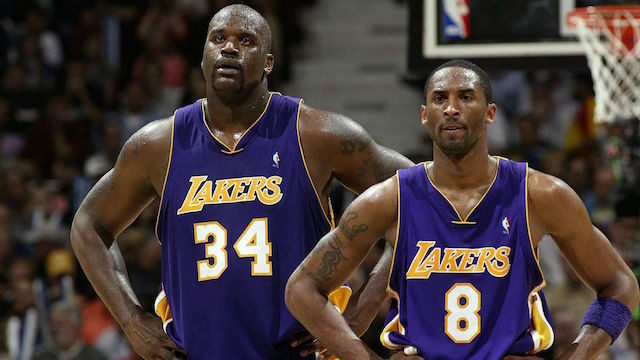 One, Shaq and Kobe laid a foundation for the NBA as one of the most dominant duos we have ever seen, with both men having a claim as top 10 players in the history of the game. Shaq was a game changer, and Kobe would be one of the hardest workers in the game, and together they would embark on a three peat that seemingly helped keep basketball afloat in the post Jordan era. That's something that isn't discussed enough. For all the NBA was ruined talk recently, the Bulls won three titles, the Rockets won two straight, then the Bulls won another three before the Spurs snuck in and took a championship. Then, right after that, the Shaq and Kobe Lakers won three straight. That's three teams winning 11 out of 12 titles. Three teams. 11 titles. 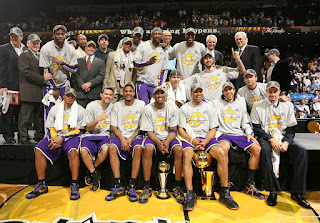 The Spurs would end up winning one, but guess what, after the Lakers run, THEY would win three titles in five years. That is amazing in so many ways, no matter how you spin it. After winning their first title in 2000, the Shaq and Kobe Lakers would go 15-1 in perhaps the greatest postseason run ever in 2001. They would complete the three-peat with a win in 2002 over the Nets, but the fact remains, the Lakers were a true dynasty under Phil Jackson. After missing the Finals in 2003, they would have their last hurrah in 2004, making their 4th Finals in 5 years, an amazing accomplishment, despite losing. Shortly after Shaq left the team, we would witness the Kobe and Gasol Lakers make three straight Finals and win back to back titles, which helped the legacy of Kobe in multiple ways. He now had two Finals MVPs and five titles, with seven appearances in the NBA Finals over 10-11 seasons. That was an amazing feat to pull off, and that is why both eras of the Lakers were included together because they coincide with each other in different ways. The Lakers have had so much success over the years, and this extended era with a small break in between has to be appreciated. -While the Miami Heat wasn't the greatest dynasty of them all, it would be impossible to ignore the success of this dynasty and how close they were to having their own three peat. 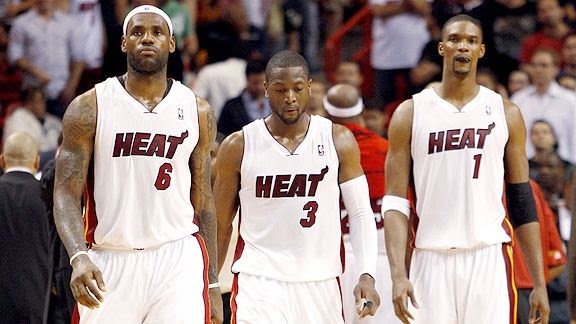 If LeBron James shows up in 2011, we could have witnessed the Heat win three straight titles, though on the flip side of things, the Spurs could have retrieved the rebound and won the 2013 title, so perhaps looking at what if scenarios is not the way to go. Regardless, the Heat would go on an amazing 27 game winning streak at one point, coasting to an amazing 66 games won, before going on to defeat the Spurs in one of the best 7 game series in NBA Finals history. 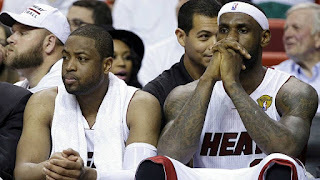 That would be the second straight title in the Heat run, as the year prior, they would come out with a mission in place and finally vanquish the Boston Celtics in the ECF before winning a 5 game series over the Oklahoma City Thunder. 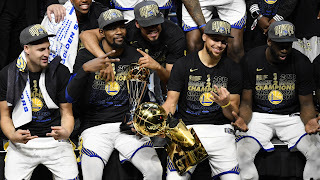 While they took bad losses in 2011 and 2014, during this four year run, they made the NBA Finals every time and won two titles, going back to back. The fact is, in order to be a dynasty, you need to have back to back titles or multiple championships over a small span of time, and the Heat fits that description even if they didn't win the "Not 1, Not 2, Not 3, Not 4, etc" championships they promised. A dynasty is a dynasty, plain and simple. -Of course. The reason why this article exists. The Golden State Warriors. They just finished winning their third title in four years and they could just be getting started with the championships they will win. So, that begs the question: where do they rank as a dynasty? Well, this is what makes this dynasty so unique. Like the Bulls dynasty, they possess a 70 win regular season, a lengthy home winning streak, multiple 60 win regular seasons, and dominant playoff performances through their run. Talent wise, they might most resemble the Showtime Lakers with an all time legendary point guard in Steph Curry and a legendary scorer in Kevin Durant. KD is nearly 7 foot and can pull up from anywhere on the court. 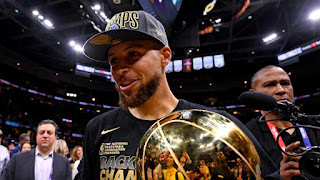 Steph, who is the most engaging player on the team, is merely 6'3 and undersized in a way, but he's the leader of this squad and the reason why they have the championships that they have. Durant is the insurance policy in many ways, as his presence makes life easier for all involved, including himself, if that makes sense. 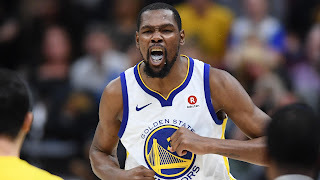 KD went to Golden State to play around high IQ players, and of course to play alongside Steph Curry, a two time MVP. However, before KD arrived, the Warriors would win a title in 2015 and post a 73 win season and come one game away from winning back to back titles. After KD joined, this Warriors has seemed unstoppable when it counts. Steph is motivated. KD is motivated. Klay is motivated. Draymond is motivated. To make it even more scary for the rest of the league, they have a youth movement in talented players who are learning from the veterans like Quinn Cook, Jordan Bell, Patrick McCaw, Damian Jones, and Kevon Looney. 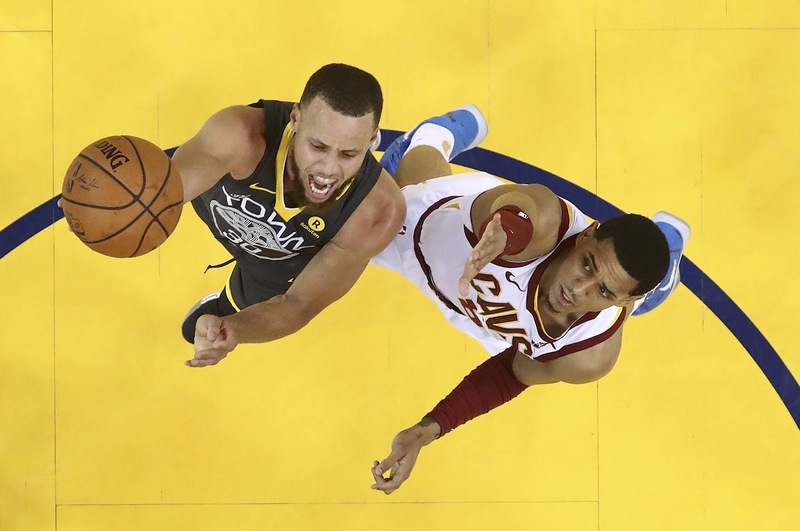 Most teams do not have a youth movement on the roster to coincide with hugely talented and high IQ players, which means the story of the Warriors dynasty is far from over. 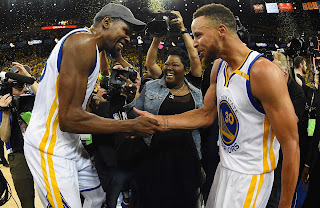 With Steph Curry setting three point records in the Finals, a 16-1 postseason in 2017, the first NBA Finals sweep in 11 years, with KD winning back to back Finals MVPs, and this team likely to stay together for multiple years in the future, the story of the Warriors dynasty might be just beginning. You can hate it, you can dread it.... or if you're a NBA team, you make adjustments to try and beat this team. Will it be possible? Who knows. For now, it is best to enjoy the current greatness like we did the dynasties of the past.